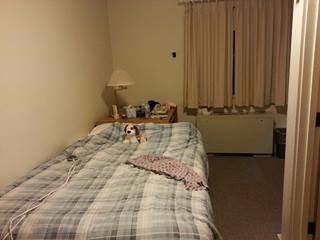 I have arrived at the astronomers residential facility at Hale Pohaku (~2,900m). This is where we sleep when we aren’t observing. There is also a cafeteria, TV room, games room etc. It’s the middle of the night in Hawaii, but I am staying up as long as possible, to try and get my sleep pattern in line with the observing schedule. We spend about 24 hours at the facility to help our bodies acclimatise to the altitude. We come down here to sleep each night as staying on the summit (~4,200m) would increase the risk of getting altitude sickness. 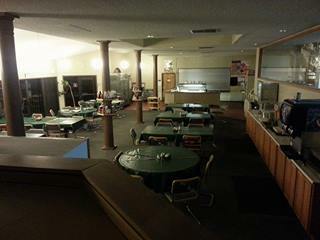 The cafeteria. There are three fixed meal times each day, but in between we can help ourselves to drinks and snacks. We can also request a packed lunch to take up to the summit with us. The entrance hall. 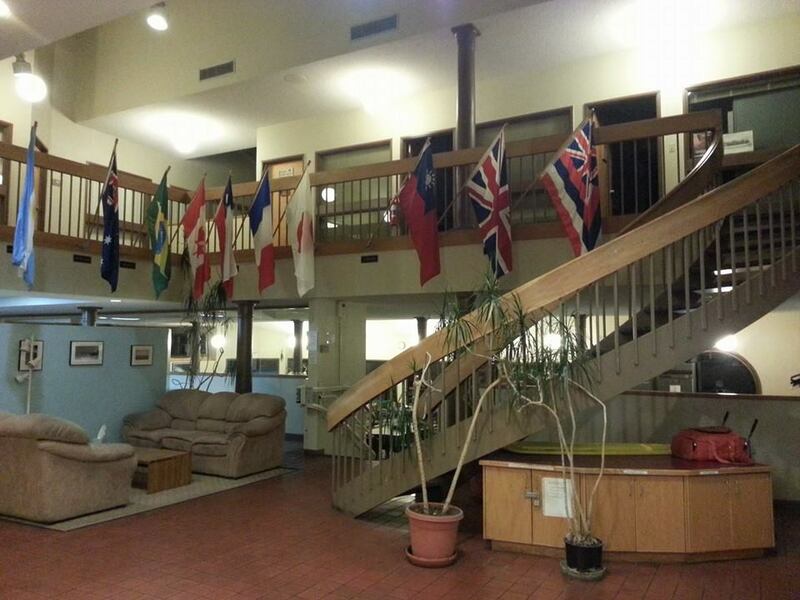 Notice all the flags. Many countries have telescopes on the mountain and use the residential facility. 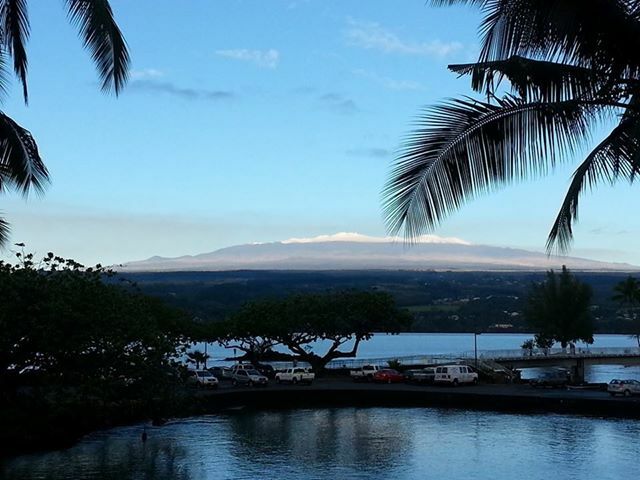 View of Mauna Kea from my hotel in Hilo (where I stayed one night before driving up to the facility). Note the snow on the summit. The telescope domes are just about visible as white blobs on the top.